I don’t do current events or even read the newspapers much these days. Been there done that, as the T-shirt says (although I can’t remember I ever got a T-shirt as a member of the Fourth Estate). Occasionally I surf across something that gets my attention if not my goat, but I try to let my thoughts simmer for a bit rather than fly off the handle. One that I do feel compelled to respond to is this NYT piece. I’m no Texan, so I’ll pass over the outrageous twisting of history needed to characterize the Texas War of Independence as a “slaveholder rebellion.” And I’m not familiar enough with California history to question the “Afro-Mexican” roots of Los Angeles. First, I have to say tracing Mexico’s national boundaries using 1839 maps is as fanciful an exercise as tracing the geography of Middle Earth based on one of Tolkien’s maps. The maps of the period were hopelessly inaccurate, as I’ve noted in a previous post. The distortions of the Disturnell map used by Mexico and the U.S. in negotiating the Treaty of Guadalupe confused relations between the two countries for years. More important, Mexico (and Spain before her) were never effectively in control of the territories those states claimed. Outside of the narrow corridor of tiny Hispanic settlements straggling up the Rio Grande and the Pueblos they had subjugated, the land belonged to los Indios Bravos. I’m not sure of the provenance of the above map, but I believe it accurately portrays the boundaries of Comancheria until well into the 1870s. This map shows the homeland of the Chiricahua. I don’t have another that would show the Western Apache, the Papago (Tohono O’Odham) and the other tribes to the west; suffice to say they were no more under the Mexican government’s control than they had been under the heavy thumb of Spain. 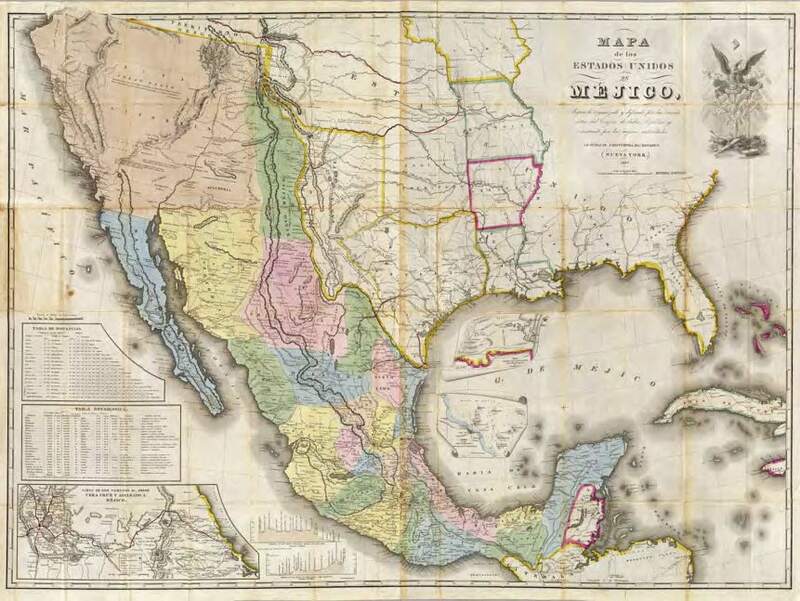 In fact, the Mexican frontier was in retreat leading up to the Mexican-American War. The Comanche to the east and the Apache to the west were lords of the Southwest. It took the Americans another 40 years (and more blood than was shed in the war with Mexico) to make good their claim to the land. I don’t want to beat a dead coyote, but I have a couple comments about this article and the folks who wrote it. I don’t know when we decided as a society that hunting coyotes was a bad thing. We have bass-fishing tournaments back East and we used to have rattlesnake roundups out here (I can’t recall when I last heard of one, but can’t recall anybody protesting them). One of the more irritating ad hominems from the coyote-huggers is to characterize hunters as “beefy, middle-aged men in camouflage, guns in hand and dead animals no one is ever going to eat piled in trucks.” In fact, hunting coyotes is a highly skilled and challenging sport. Also, re the “animals no one is ever going to eat” crack. If we don’t eat them, we compete with them for our food. We eat chickens and so do coyotes; we eat beef and lamb, and coyotes kill both. If Coyote Project’s biologist observed the cute and playful side of Don Coyote, a quick search of Coyote Killing Sheep will show another side of Canis latrans. Another, less sentimental way to look at that pickup full of dead coyotes is as critters who won’t be killing your neighbor’s cat or some rancher’s lambs next week. Ironically, by hunting him we are enabling the coyote to pursue his “Manifest Destiny,” according to Coyote Project. By killing off the slowest and dumbest, we’re forcing a rapid evolution of the species. We’re breeding a super-coyote that’s spreading across the continent. Logically, Coyote Project should thus be in favor of hunting them, since it’s producing a bigger, faster, smarter coyote. It’s hard to avoid the conclusion that the California crusaders are just against hunting in general and see the coyote as a useful pawn in a much more ambitious campaign. NM was just one of six states that introduced nearly identical anti-hunting bills this year, all backed by the Humane Society. It’s not clear from Project Coyote’s website what its relationship is with this campaign, but I’m betting it’s kissing-cousin close. 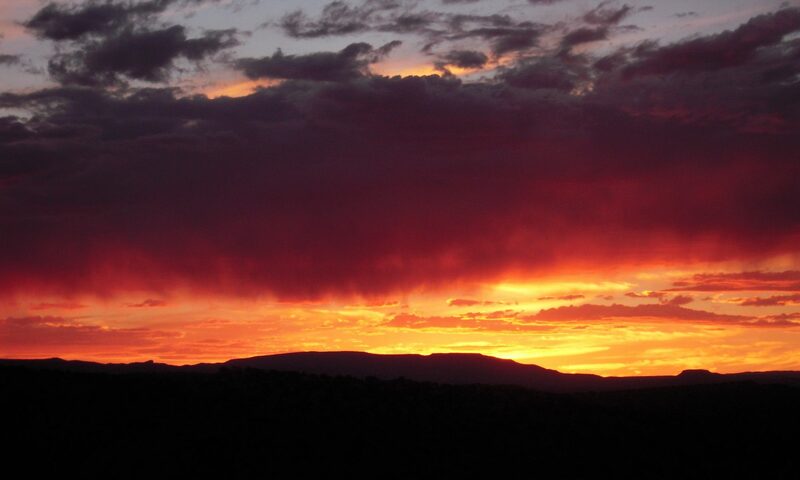 Finally, it burns my biscuits to have condescending, virtue-signaling Marin County effetes and Santa Fe dudes lecturing me on the “morality” of rural New Mexico. Much as I would like to, I wouldn’t presume to return the favor. Wile E. Coyote makes his appearance in the lede, when a biologist sights a coyote “joyously toss a sprig of sagebrush in the air with her mouth, adroitly catch it, and repeat the act every few yards.” Instead of studying “the arch-predator of our time,” the scientist is instead discovering that Wile. E. is an “intelligent, playful creature,” according to Project Coyote. Wrong. You see “the arch-predator of our time” in the mirror every morning as you brush your teeth. Notice those sharp ones prominent on either side of your jaw? Why do you suppose God (or Darwin, if you prefer) put them there? The intelligent and playful Homo Sapiens rules the planet and we literally fought tooth and nail for the title. For also-rans check your local natural history museum for the remains of Canis dirus and Smilodon. We’ve cleared the ring of these, but Canis latrans remains a formidable challenger. Intelligent, resilient, adaptable and increasingly aggressive, it profits us not to underestimate him. The Apaches and other indigenous inhabitants of the land knew him well and understood him better than the folks at Project Coyote ever will. At this weekend’s Book Fair I picked up a copy of American Indian Myths and Legends, which lists 15 stories capturing the coyote in his many different incarnations. I continue to collect stories of human/coyote interactions, and I’m still unclear as to whether such conflicts are becoming more common as the urban/suburban/exurban interface encroaches on the habitat of Canis latrans (or vice versa) or I’m just paying more attention. 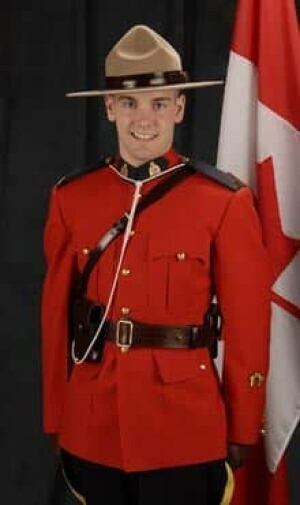 Latest I’ve come across is from our neighbors to the north, where the RCMP (love the uniform, guys!) was called in to deal with an especially bold coyote in a town just north of Calgary.